Easy, Powerful, Scalable – OEE Visual display / XL 800 is a complete bolt-on solution that will help you deliver sustainable performance improvement. 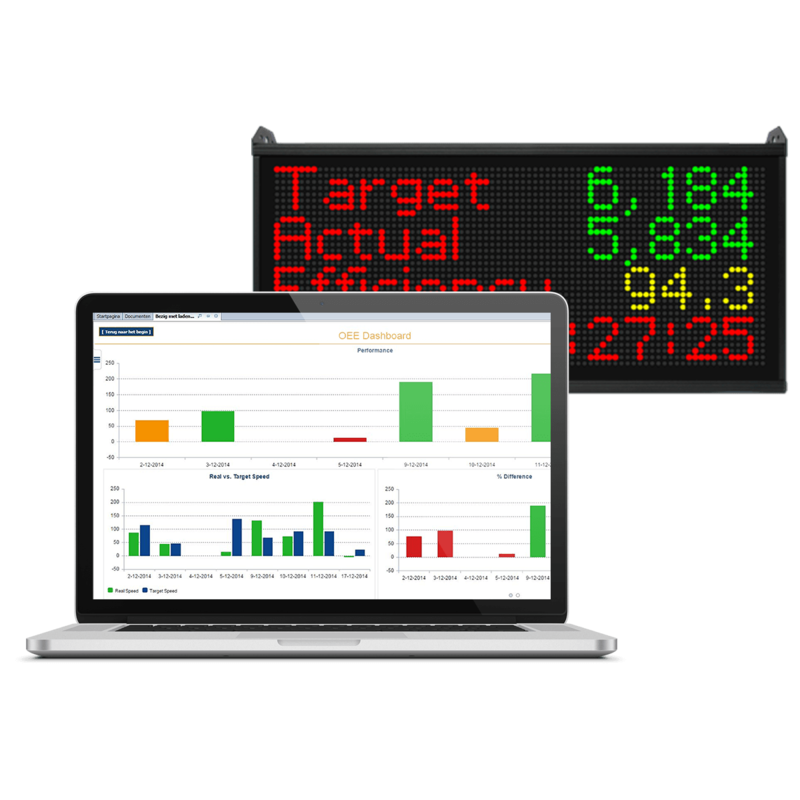 Web-enabled real-time data visibility plus plant floor scoreboard to keep your team engaged and provide a step-change for the speed of response. Complete visibility of performance, Real-time, accurate downtime tracking, Truly bolt-on – to any machine, Self-install, configure and maintain. XL 800 provides real-time information to enable your staff to have the most up-to-date information on their current performance and enable them to make the appropriate decisions to improve productivity. OEE Visual display XL 800 creates a true visual factory environment – from the shop floor to the top floor. Without standards, it is difficult to identify and quantify the opportunities for improvement. Every responsible employee wants to know them. With ACIM we offer the opportunity to organize time studies in a cost-effective manner. Sectors include insurance, banks, engineering, sales, lab, marketing, administrations. Stay up to date with our new features!